This message was spray-painted by the former tenant of this house in Central City. An affordable-housing group released a report saying the proliferation of Airbnbs is contributing to rising housing prices. The city’s freeze on the most popular type of short term rental license got one step closer to being codified in municipal law on Thursday. The city council unanimously voted to accept the recommendations of the City Planning Commission, which endorsed the temporary ban in July. There is only one more council vote standing in the way of the moratorium’s formal establishment in city law. That vote must take place within the next 90 days, at which point Mayor LaToya Cantrell will be forced to weigh in by either signing the amendment into law or vetoing it. The city council launched a nine-month freeze on new and renewed temporary short-term rental licenses — the most common of the three types of short-term rental licenses issued by the city — in May. The measure applies to whole-home rentals in residential neighborhoods, but it doesn’t cover the entire city. 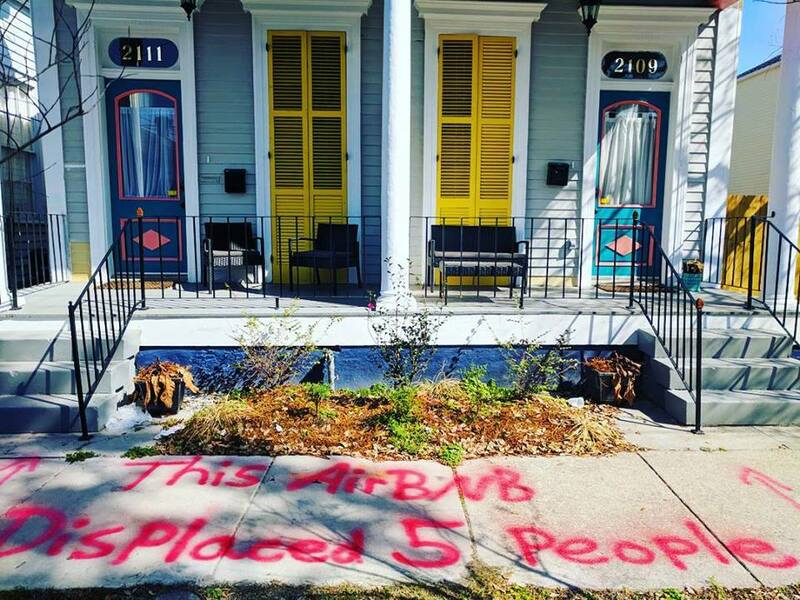 It affects the Central Business District and certain historic neighborhoods that have become the most popular areas for short-term rentals, including Faubourg Marigny, Bywater, Treme, Mid-City, and much of Uptown. Though the freeze went into effect at the time, it has not yet been formally adopted into law. Since her inauguration, Cantrell — who pushed for a study on the effects of short-term rentals toward the end of her time as a council member — has mostly remained quiet on the council’s moves to restrict the short-term rental market. Cantrell’s Communication Director Beau Tidwell said that she had no comment on Thursday’s vote. The objective of the ban is to stem the rapid expansion of the short-term rental industry while the City Planning Commission finishes a comprehensive study on current short-term rental regulations and potential modifications. In July, the commission issued a recommendation for the city to move forward with the moratorium. The recommendation noted that some commissioners opposed the request because it only applies to certain districts, leaving other neighborhoods vulnerable to the negative effects of short-term rentals. Affordable housing advocates have criticized the city’s existing regulations, which went into effect last year, as exceedingly lax. The result, they argue, has been higher housing costs in an already unaffordable housing market, the displacement of residents and disruptions to the city’s social fabric. Short-term rental advocates, on the other hand, have argued that local hosts use platforms like Airbnb and HomeAway for much needed extra income. Also on Thursday, the council voted to extend the deadline for the investigation into Entergy New Orleans’ role in hiring actors to appear at public meetings in support of its proposal for a new power plant in eastern New Orleans. The results of the investigation were due this week, but investigators have reportedly received another large cache of documents from Entergy within the last few weeks. Councilwoman Helena Moreno said the extra 45 days are necessary to review documents and conduct additional interviews. Another matter related to the paid actor scandal was on the docket today: Councilman Jared Brossett’s ordinance to establish a registration system for local lobbyists. Brossett floated the idea after The Lens reported on the use of paid actors. But he withdrew the bill before it came up for discussion on Thursday. The city council also quietly approved the transfer of $100,000 to the Office of Homeland Security for the installation of eight new surveillance cameras in Gentilly that will feed 24-hour live footage into the city’s Real Time Crime Monitoring Center. The ordinance was introduced at the request of Cantrell’s administration.